New steel floating docks for convenient dockage. 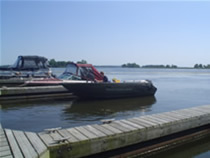 Boat ramp and ample parking for trailers. Outdoor electrical outlets for recharging batteries. Why Are We So Successful? Location! Location! Location! Not only do you have direct access to the St. Lawrence River, but there are three great fishing lakes close by. 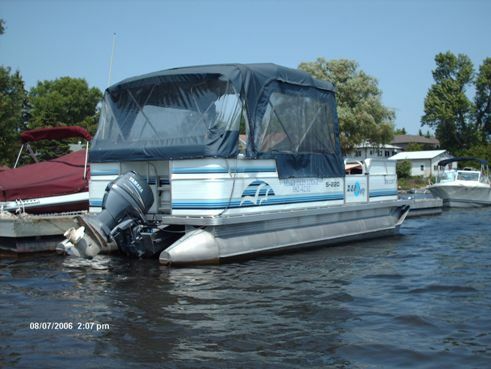 Charleston Lake, Gananoque Lake, and South Lake are all less than 30 minutes away. Access to the Rideau Canal is also available at Seeley's Bay, only 20 minutes away from Gananoque. This offers our fishing guests a wide variety of experiences from one location. 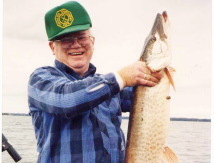 Area fishing seasons and license information is available further down this page. Rates are in Canadian funds and include all safety equipment and PFD's. Rates are subject to 13% tax plus fuel and oil costs. 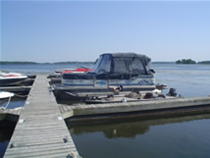 Boat Dockage - Seasonal boats under 24 Ft. includes parking for one personal vehicle. 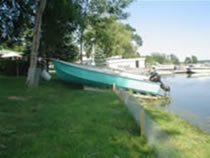 Boat Storage - On land parking and seasonal in/out use. Rates are available for the current season. At Misty Isles Lodge, we believe a visit to this area isn't complete without visiting the 1000 Islands. Parks Canada has 21 islands in the St. Lawrence River between Kingston and Brockville. Some of these Islands provide camping facilities for public enjoyment. The best swimming area is on Leek Island with two natural sandy bays. Sugar Island, owned by the American Canoe Association, is in the Lake Fleet Islands, directly across from Misty Isles Lodge. So why not visit an island for the day to picnic, swim or camp overnight? Big game fishing is coming back to the 1000 Islands. Greg has been dreaming of this opportunity to show you one of the best game fishing experiences. His rates and information can be found through his website www.muskierush.com along with some great pictures of successful clients. He's happy to share his techniques in acquiring walleye, pike and bass. Email him to confirm your day on the River. For more information on recreational fishing, check out the Recreational Fishing Regulations Summary.